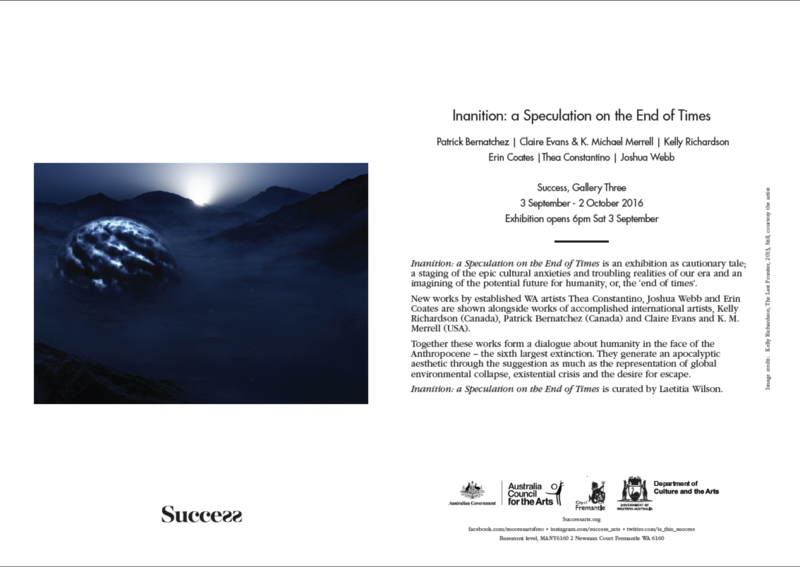 Inanition: A Speculation on the End of Time is an exhibition as cautionary tale; a staging of the epic cultural anxieties and troubling realities of our era and an imagining of the potential future for humanity, or, the ‘end of times’. New works by established WA artists Thea Constantino, Joshua Webb and Erin Coates are shown alongside works of accomplished international artists, Kelly Richardson (Canada/UK), Patrick Bernatchez (Canada) and Claire Evans and K.M. Ferrell (USA). Together these works form a dialogue about humanity in the face of the Anthropocene – the sixth largest extinction. 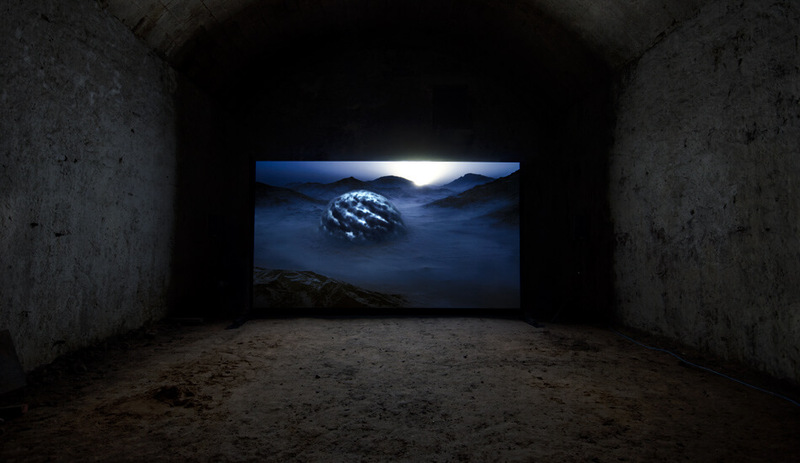 They generate an apocalyptic aesthetic through the suggestion as much as the representation of global environmental collapse, existential crisis and the desire for escape.